There is a high probability that this movie is going to end up on my 10 Worst Films of the Year list. It's going to take several real stinkers to knock this one off of the list. 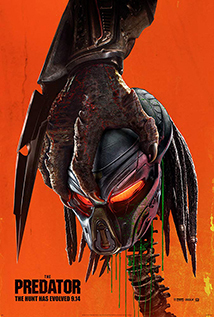 Director Shane Back should be embarrassed that he made such a terrible movie, and the producers should be ashamed that they didn't secure enough funding to make this thing look better than a bad made-for-television film from the mid-80's. The effects are so bad they are literally laugh-out-loud funny. The acting is terrible to the point where I was cringing every time I heard a cheesy line. The editing is amateur and makes the movie look like a bad episode of POWER RANGERS rather than a big-budget action flick. And the music is so weird and out of place it actually pulled me out of the story several times. This travesty is full of massive plot holes, horrific writing, and terrible chemistry. I am shocked that this film is getting a wide release. It looks like it's a video-on-demand flick. Do not waste your time. Even if you use a free coupon to see this, you are going to be disappointed.